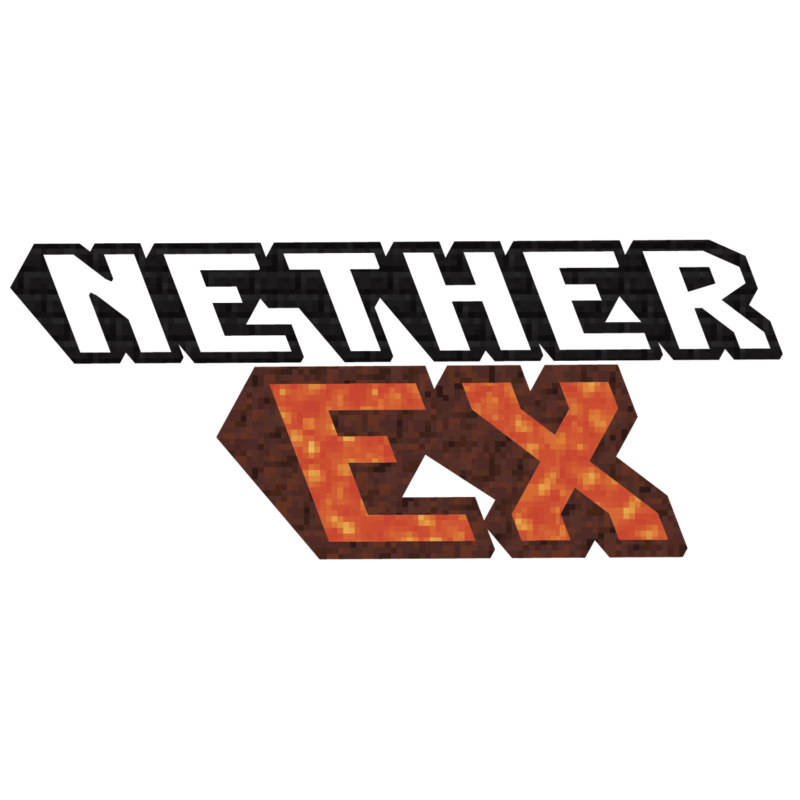 NetherEx is a large reworking of the Nether, focused on three core ideas: Expansion, Exploration, and Experience. The mod currently adds four new Nether biomes, each is designed to fill a specific purpose within the Nether and each has a unique approach to the others. These biomes are populated by ten new mobs, decorated by 34 new blocks, and filled with over a dozen new items to find and use. Three new armor sets, a brand new set of weapons, and four new food items allow for pure Nether survival. Three new potions introduced in NetherEx gives you a lot more options for various approaches to fights. An all new boss is introduced for you to summon and vanquish. A new gem can be found that allows you to trade with the Pigtificates, which can be found in their villages hidden inside the Nether, guarded over by their faithful golems and ruled by a greedy chief. NetherEx 2.0.0+ requires a library mod, more info can be found here.